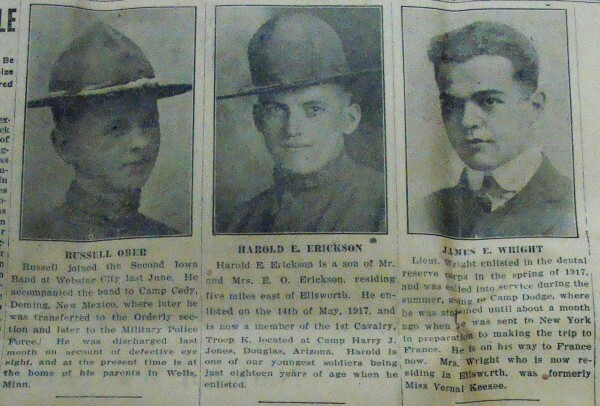 of the local newspaper, The Ellsworth News. 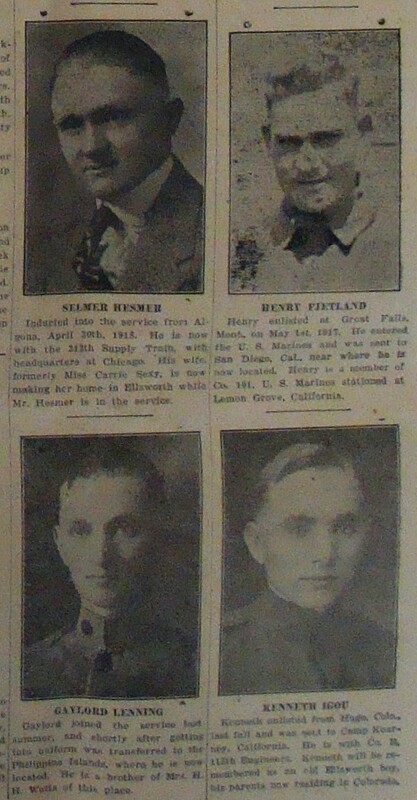 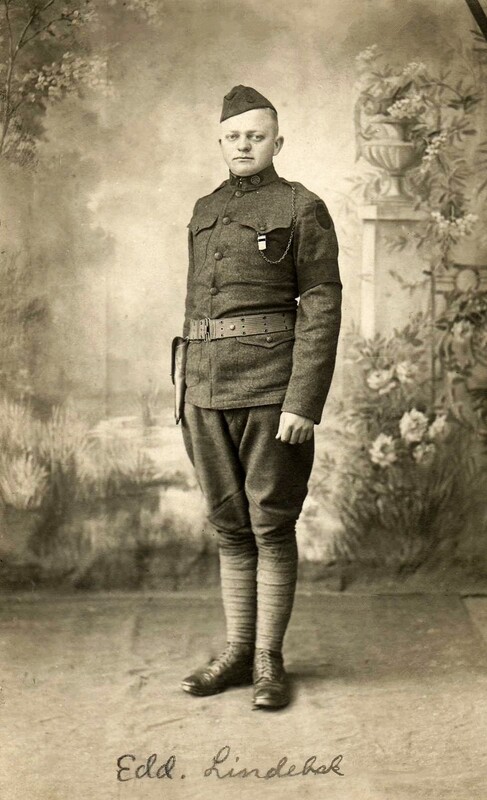 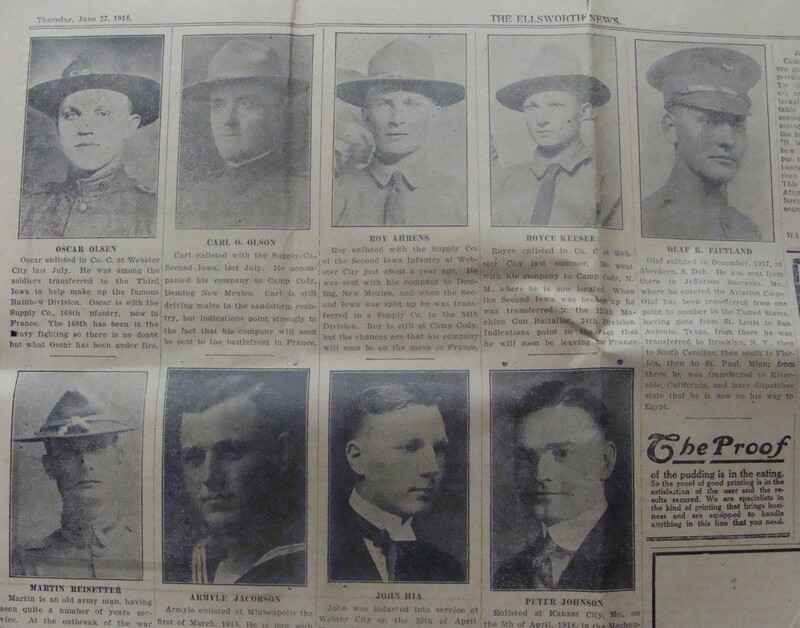 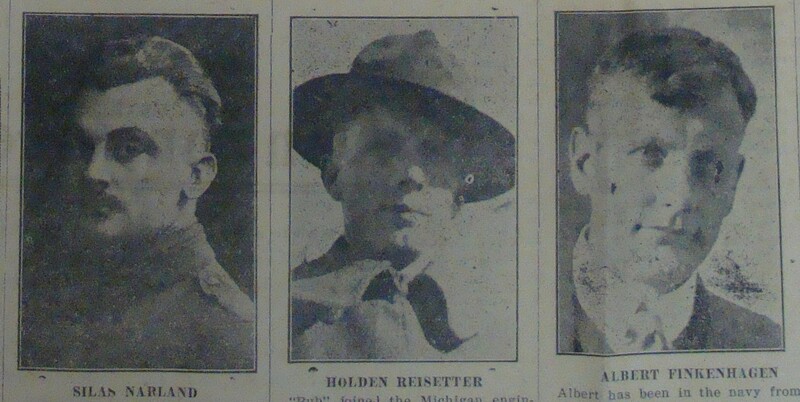 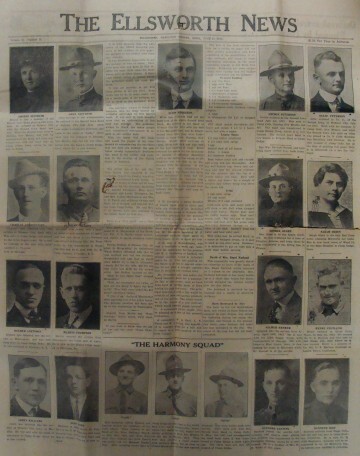 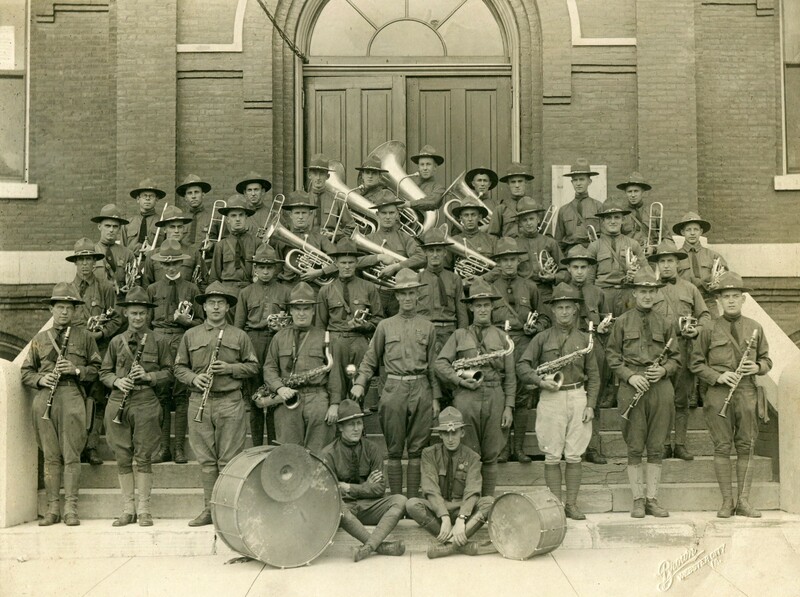 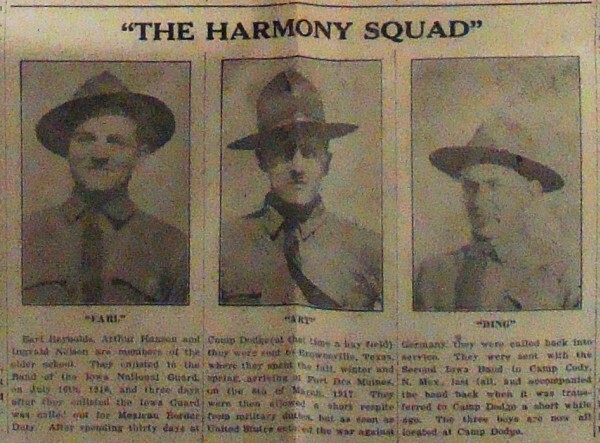 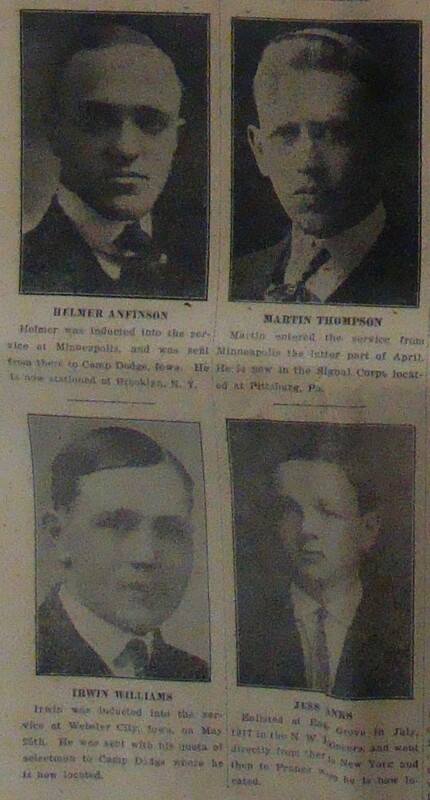 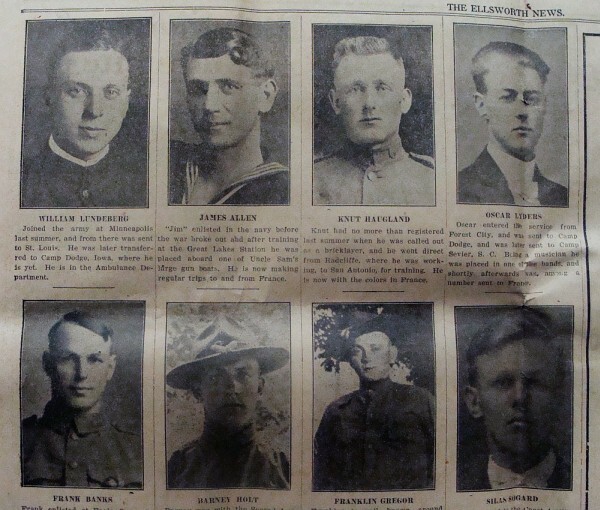 Many Ellsworth area men fought for their country in World War I.
then either click images to enlarge, or go to the Library to see the 1918 paper yourself. 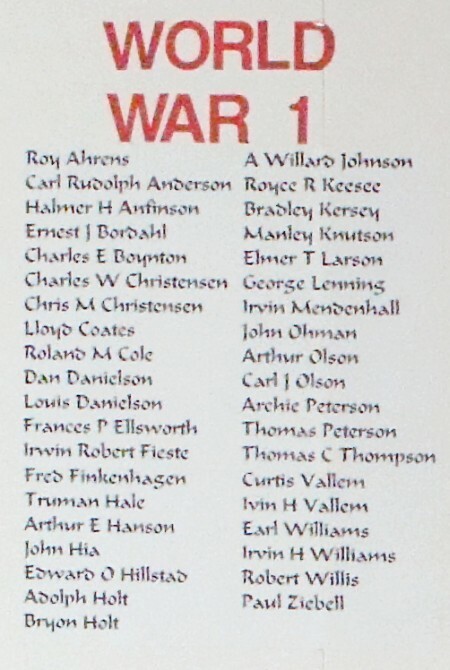 lists additonal veterans of WWI who are not included in the newspaper article seen above.